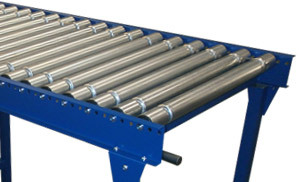 Fastrax are a uk manufacturer of proven, reliable belt conveyors. Ideal for use as with conveyor systems, integration into bespoke machinery, or as standalone units. 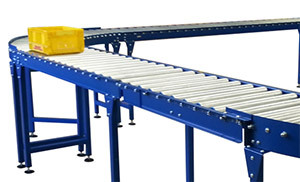 Fastrax are an ideal partner for your conveyor needs, building conveyors suitable for use within a wide variety of industries. Delivering reliable conveyors using quality European components and at a great price for delivery throughout the uk and Europe. Our most common belt conveyor range, available in sizes to suit your requirements and in mild or stainless steel. Various belt conveyors for use in the food environment. Food grade belting and Stainless Steel frame. We are a UK manufacturer of belt conveyors in mild steel for use as single modules or within more complex systems. Working from our standard proven designs we manufacture quality conveyors, with proven reliability and are realistically priced. Our manufacturing is based in Corby and delivers conveyors throughout the UK and Europe. We aim to be the first choice for our reseller and end use customers for belt conveyors, process lines and modules. We will achieve this through a commitment of working with our customers and colleagues to manufacture robust lasting conveyors and process equipment which delivers reliable, low maintenance operation. At Fastrax we can also supply you with all the components you need for your equipment such as belting, rollers, drum or geared motors, inverters, bearings & sprockets making Fastrax a perfect solution for all your projects & systems.